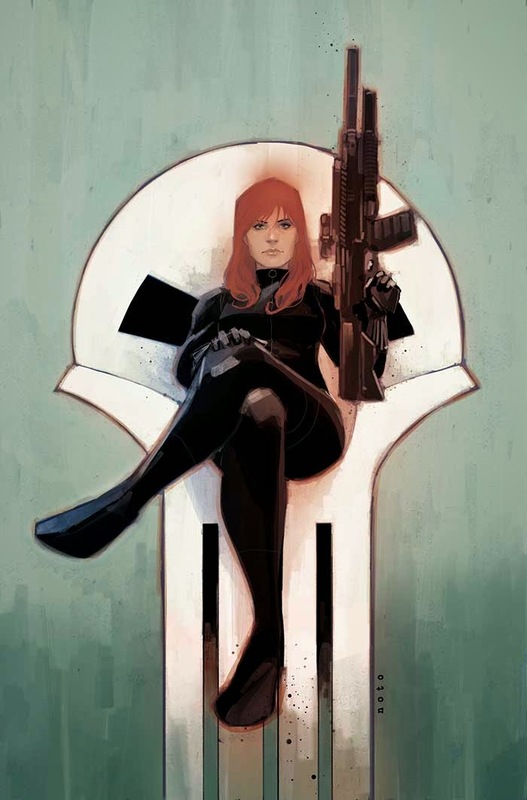 Punisher and Black Widow Collide This August in FRIEND FROM FOE! Two of the most lethal soldiers in the Marvel Universe cross path’s this August in “Friend From Foe” – an exciting new crossover taking place in BLACK WIDOW #9 & THE PUNISHER #9! Rising star writer Nathan Edmondson along with blockbuster artists Phil Noto & Mitch Gerads craft a spy-action thriller that will take Frank and Natasha to the edge! 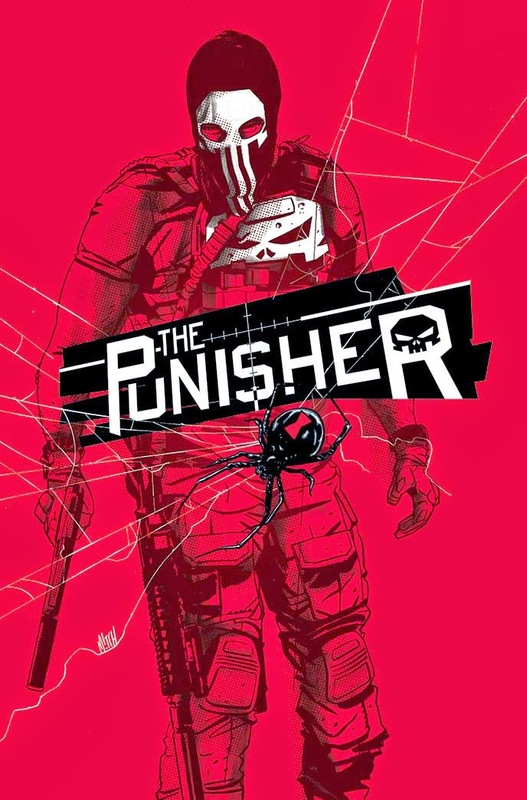 Circling the same sinister syndicate put the Punisher and Black Widow on a collision course with each other. A collision course that will lead them to an oil tanker full of dangerous explosives and even more dangerous information! Not to mention deadly mercenary Crossbones and his Skull Squad are just waiting for their chance to strike! The clock is ticking. Will Frank and Natasha be able to complete their mission before they’re taken out by their enemies? Or even worse, each other? Find out as the epic 2-issue crossover “Friend From Foe” hits this August in BLACK WIDOW #9 and THE PUNISHER #9!